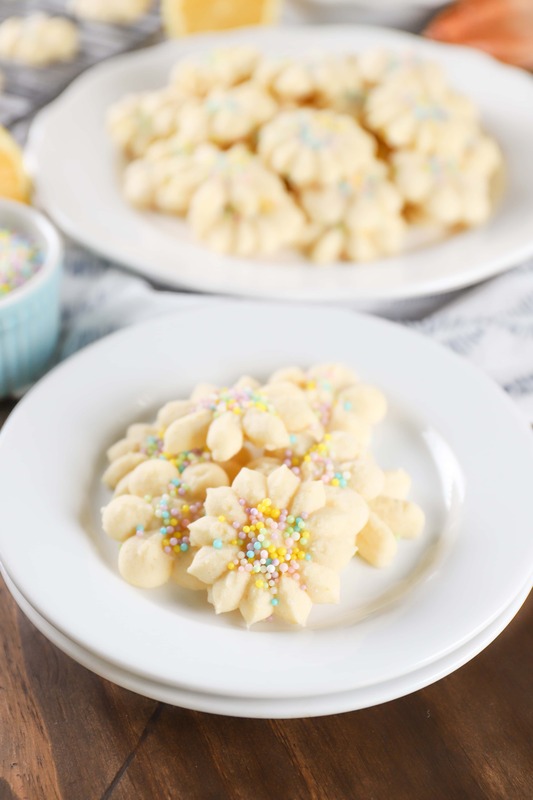 These Lemon Spritz Cookies give a citrusy twist to the classic, buttery spritz cookie! 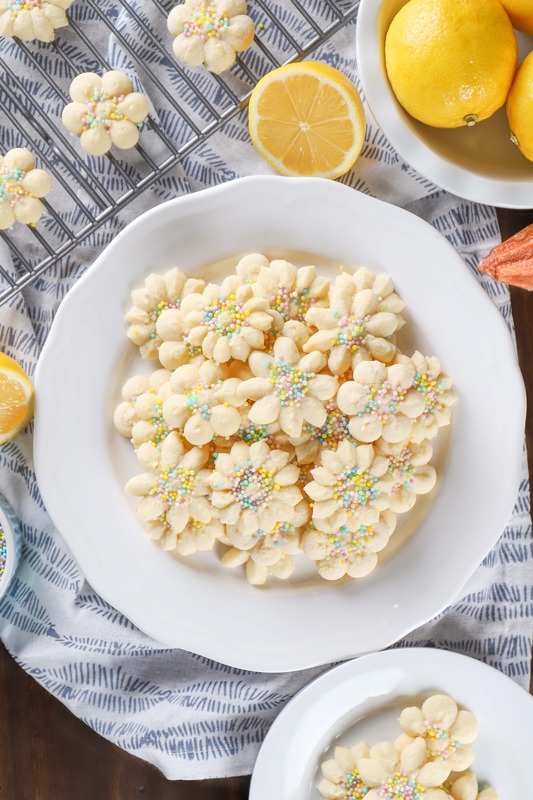 Not too sweet and with just the right amount of bright lemon flavor, you’ll want to make a batch of these easy lemon spritz cookies for your next party. 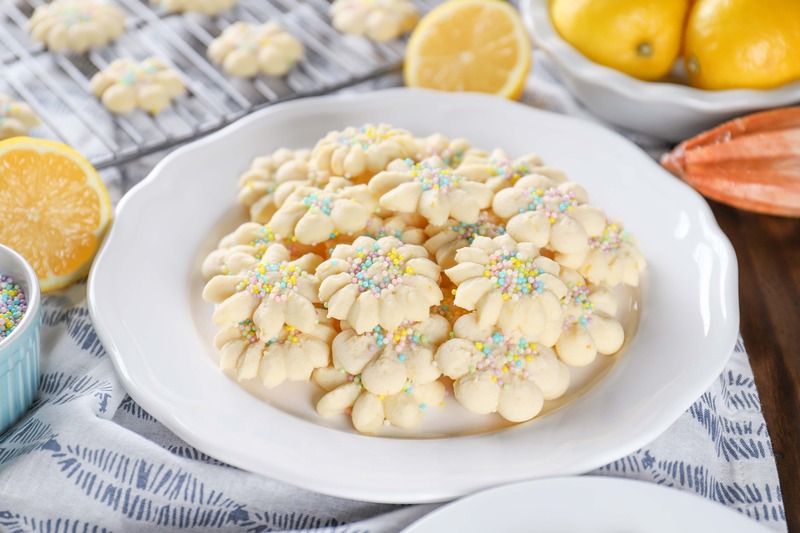 Even if you aren’t surrounded by snow and wind, you should still find a way for these easy cookies to make an appearance in your kitchen. 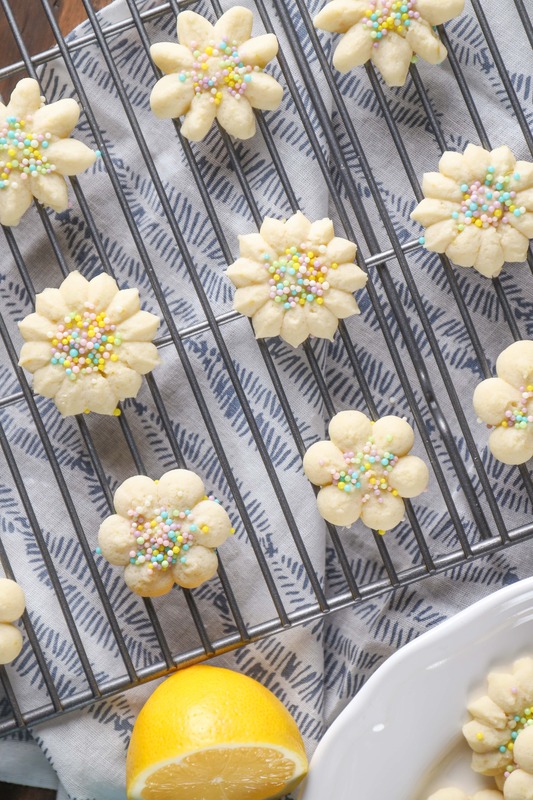 One simple dough creates a big batch of bright, springy cookies! A simple combination of flour, sugar, butter, and a pinch of salt create the base of these easy cookies. 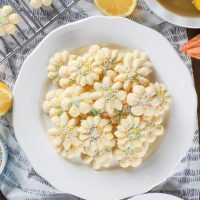 Vanilla extract, fresh lemon juice, and fresh lemon zest add the bright citrusy flavor that give these cookies their springy appeal! I list the lemon extract as an optional ingredient, because I have made these a couple of times without it, and they’re still good. However, if you want a solid lemon flavor, you will want to add the lemon extract. You can only add so much lemon juice before it changes the texture, so I went with a bit of lemon extract to bump up the flavor. The result? A soft dough that was easy to use in the cookie press and a baked cookie that is not too sweet, just the right amount of crunchy chewy, and perfectly buttery! If your dough is too soft, stick it in the refrigerator for 30 minutes to firm up. If your butter is too warm when you make the dough, it will cause the dough to be really soft. 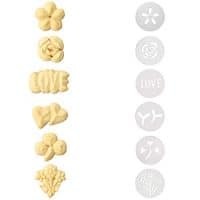 There seems to be a controversy around whether or not spritz cookies should be soft or crunchy. If you want soft cookies, bake for 6 minutes. If you want crunchy cookies, bake for 8 minutes. 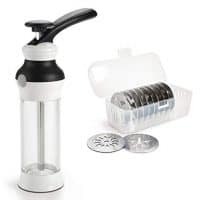 The lemon extract is optional, but it really adds to the lemon flavor if you want a stronger lemon flavor for your cookies. In the bowl of a stand mixer, or with an electric mixer, cream together butter and sugar. Beat in egg, lemon zest, lemon juice, vanilla extract, and salt until creamy. With the mixer on low, or with a wooden spoon, slowly beat in flour until just combined. Place dough in cookie press fitted with desired template. 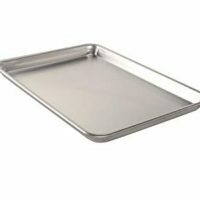 Pipe dough onto an ungreased cookie sheet. Decorate with desired sprinkles, candies, etc. Bake for 6-8 minutes, or until cookies are set. If you prefer a crispy cookie, bake for the entire time. Remove to a wire rack to cool for 5 minutes before removing from cookie sheet. I’ve never heard if such cookies. This is very new for me. I will try this very soon!